Your Grace is Sufficient: Can you drink the cup that I must drink? “Can you drink the cup that I must drink?” If we are being asked that same question today, I believe that our first and primary concern would be about hygiene. “Can I actually catch a disease from someone who shares my cup?” Picture that anxiety that is running through your mind as you see a friend request to share a bottle of water with you or wants to taste your drink. If you are worried about sharing a cup because it can make you sick, the context of our Lord’s request is far more insidious. Sharing a cup with the Lord can get you killed! When the Lord asked His disciples if they were willing to drink from the same cup that He would be drinking, He was making an allusion to an important position in the king’s court – the Royal Cupbearer. 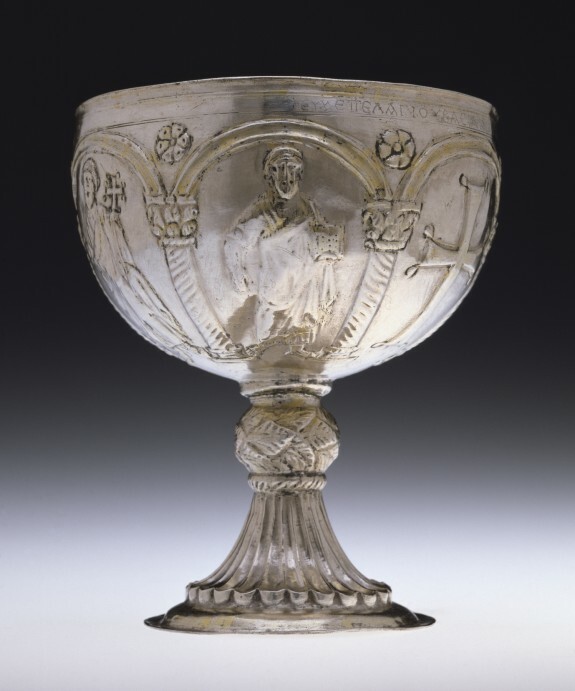 The Royal Cupbearer was an official of high ranking who enjoyed the King’s trust. He earned the position because he was regarded as being absolutely trustworthy. It is no wonder that he was often an intimate confidante of the king, as most drinking buddies are, who often shared some of his deepest thoughts and secrets with this person and perhaps getting some good piece of advice in return while enjoying a sip or several sips of wine from the cup. This official was honoured with a seat beside the king at his dinner table, a position many have coveted but few have had the privilege of being accorded. Thus, the Royal Cupbearer perfectly fits the bill of occupying the seat of honour which the two sons of Zebedee requested from the Lord. But there is a catch. The reason why the Royal Cupbearer enjoyed the King’s confidence and trust and was given the honour of sitting near him and even having a first sip or first taste of food before everyone else including the king, was because he was tasked with tasting drink or food from the king's cup, or plate, to make sure that his drink or food was not poisoned. The trusted cupbearer would be the one to discover the true contents of the wine even at the cost of his very life. In other words, he was the guy who would take the fall for his King. If it was poisoned, he died, sparing the king's life. He would then be hailed a national hero. If it was safe, he shared the honour of consuming a royal meal and he remained in the king's presence and confidence. With honour comes the courage to die for one’s king. Drinking from the cup meant accepting what the king dealt out - both good and bad, joyful or sorrowful—all who drink of the King's cup will share in his fortune and his future. Those seats of honour were given to the two thieves who were crucified with our Lord. But what about the fate of the two brothers? James the son of Zebedee was the first apostle martyred, early on by Herod (Acts 12:2). Though John was the longest-lived of the twelve, apparently living nearly to 100 years, he certainly suffered greatly at the hands of persecutors. Not only did he spend many years in exile on the Isle of Patmos, one tradition says he miraculously survived being boiled in oil! The undeniable truth that every follower of Christ must accept is that part of what the Lord’s cup entails is suffering. When we drink of His cup and receive His baptism, we are saying that we are willing to suffer with Him and experience with Him whatever He ordains for us. We symbolically pledge that we are willing to walk down the same path He walked, with similar consequences. What about the baptism which the Lord spoke of? Was He referring to His baptism in the river Jordan? Hardly. In fact, the Lord was pointing ahead to His Passion. His baptism is the full immersion in humiliation, degradation, and suffering which He endured during His Passion. So, the baptism is connected to the cup. Our Lord experienced an immersion in evil and suffering so as to overcome and gain the victory over sin and death, granting us the opportunity to be immersed in waters of baptism for the remission of sin in His name. Without His cup and His baptism, there would have been no salvation. Now all these seem foreboding and scary to any prospective Christian and it should. But there is certainly a bright side to this too. In the normal order of things, the cupbearer will take the first sip before his liege to ensure that it is safe for the latter’s consumption. But this is not the case with our Lord who takes the initiative. We drink from His cup only after He had drunk from it. Unlike the Royal Cupbearer who has to take the fall for his king, our King, instead, takes the fall for us. But there is more. We will soon eat and drink of the Passover meal of our redemption at the table God has set before us. What an honour to eat of the Bread of Life and to be His cupbearer and drink of His cup! How important it is to ponder these things before receiving our Lord in Holy Communion. St Paul advises us to be careful not to eat the bread and drink of the cup in an unworthy manner, lest we bring judgment or condemnation on ourselves. When we receive our Lord in the Most Holy Communion, we signify the depth of our commitment, our “communion”, to share in Christ's passion, death and resurrection. Taking Jesus’ question “Can you drink the cup that I must drink?” seriously, would radically change our lives. He is asking us, “Are you willing to take the fall for me as I have for you?” If we accept the sorrow of the passion and death into our lives as well as the joy of the resurrection, we live as people who hold the cup and say “yes.” “Yes” to the crosses in our lives as Christians. “Yes” to the gifts in our lives that come from God. “Yes” to sharing the cup filled with both joys and sorrows. For we know that when we say “Yes” to the cup of suffering, it inevitably means saying “Yes” to the cup of blessing, the cup of our salvation.